"The Court is aware of the condensed schedule that must be implemented in light of the 2018 election deadlines, and expects counsel and the parties to work diligently to meet the deadlines contained herein," the panel wrote. In March, the panel ruled lawmakers knowingly discriminated in drawing the state's congressional map and flagged particular violations in specific districts, including CD-23, represented by Will Hurd, R-Helotes; CD-27, represented by Blake Farenthold, R-Corpus Christi; and CD-35, represented by Lloyd Doggett, D-Austin. And this month, the judges found in a 2-1 ruling that the 2011 Texas Legislature intentionally diluted the clout of minority voters statewide and specifically in a litany of state House districts across Texas. 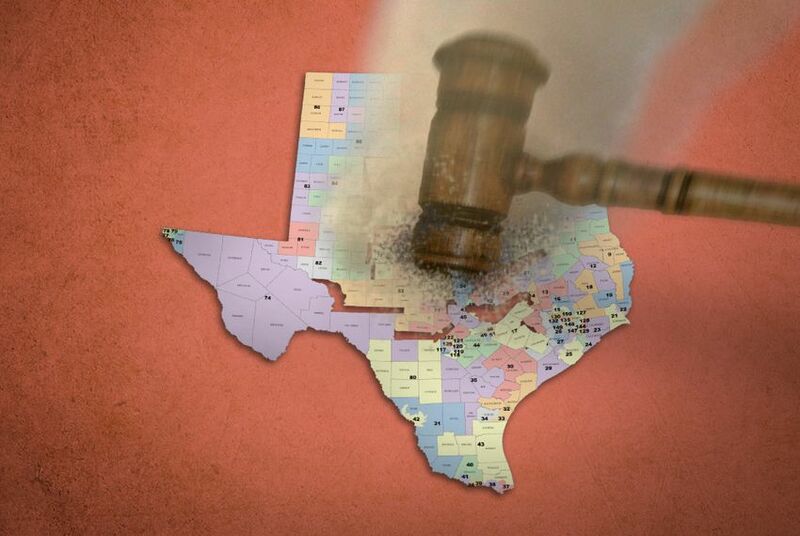 The trial schedule released Monday followed a lengthy and complicated hearing last week over the fate of those maps during which Texas and its legal foes sparred over which boundaries the state would use for the upcoming elections. State lawyers argued that Texas should be allowed to move forward with the 2013 maps because the 2011 maps behind the litigation had been tossed. And because they were court-ordered, the 2013 maps could not have been drawn with the intent to discriminate that the judges identified in the 2011 boundaries, the state argued. But those challenging the maps contend the 2013 maps were a temporary fix and still required work by lawmakers to address issues that may have carried over from the 2011 maps. They've pointed to some district boundaries in the 2013 maps that are identical to those flagged as discriminatory in 2011. Additionally, they argue, the adoption of the 2013 maps should not insulate them from the 2011 discrimination that may have permeated the current maps. "After hearing from counsel on various issues and taking their concerns into consideration, the court finds that the case should proceed expeditiously to trial on the merits," the judges wrote. Earlier in the day, the court also denied the state's request to dismiss claims that the 2013 maps violated the 14th Amendment, which promises equal protection under the law. Because the current maps had been drawn by the court to remedy voting rights issues, the state argued those claims should be tossed out. But the court ruled that the legal questions focus on lawmakers' intent — not the judges' intentions in fixing the maps — and that summary judgment was not appropriate to address the "material fact issue" that exists concerning the Legislature's intent. With the 2018 elections fast approaching, the trial leaves open the possibility of new district lines that could affect both voters and candidates. And any changes to map boundaries could cause problems for local elections administrators, who have said they need clarity by October to meet deadlines for sending out voter registration cards. December is the filing deadline for candidates.